Did Barclays Help U.S. Banks Get Undeserved Foreign Tax Credits? The Internal Revenue Service says STARS transactions marketed by the British bank Barclays generated undeserved foreign tax credits for six U.S. banks, which say the complex deals were legitimate low-cost loans. This story was co-published with the Financial Times. U.S. District Judge Patrick J. Schiltz of Minnesota is an educated man. He earned his law degree from Harvard, won a coveted clerkship for Supreme Court Justice Antonin Scalia and taught the law for more than a decade before joining the bench in 2006. But when Wells Fargo, the retail banking giant, and the U.S. Justice Department squared off in his courtroom last year over the legality of a fiendishly complicated tax scheme known as “STARS,’’ even Schiltz quickly realized he was not equipped to parse the facts. He is not alone. The growth of an arcane, intellectually demanding area of high finance that generated hundreds of millions of dollars for banks and multinational companies is being dissected from Minnesota to Washington, D.C., as the U.S. government pursues what it calls tax avoidance fueled by the use of artificial foreign-tax credits. STARS — short for “structured trust advantaged repackaged securities” — were deals between U.S. banks and Barclays, one of the U.K.’s premier banks in London, that have come under particular scrutiny in bankruptcy, tax, district and claims courts. At issue is whether the transactions had a legitimate business purpose or were designed specifically to generate improper U.S. tax credits. Barclays emerged as a key player in creating strategies that worked asymmetries in tax systems. In the STARS deals in question, Barclays realized at least $800 million in tax savings from the U.K. government — benefits it shared with other parties in the deals, according to an analysis of U.S. court and Internal Revenue Service documents by the Financial Times and ProPublica. BB&T, based in North Carolina, responded in court that it participated “to maximize profits’’ and not “to avoid or evade’’ taxes. The U.S. banks all contend their deals had economic substance because Barclays provided them with billions in financing at below-market costs. But each arrangement involved a complex set of transactions, including creation of a trust and multiple subsidiaries, which also provided significant tax breaks. Wells Fargo says in court papers that its deal with Barclays was a lawful way to obtain reduced-cost financing for its ordinary business. The U.S. banks involved in pending cases declined to comment. Washington Mutual has settled, agreeing in bankruptcy court last year to forgo $160 million in claimed tax credits. The other U.S. banks are seeking repayment for disallowed tax credits totaling more than $1 billion. Barclays is not a party to the cases and declined to discuss client matters or comment on its U.K. tax savings. "Barclays complies with taxation laws in the U.K. and all the countries where we do business,'' the bank said in a statement Sunday. Revelations about the deals arise amid a broader political debate about corporate taxes and the ability of U.S. companies to compete globally. As the 2012 election year looms, President Barack Obama is facing direct challenges from Republicans about how best to reduce the U.S. corporate tax rate — at 35 percent, one of the highest in the world — and why U.S. businesses hold an estimated $1.8 trillion in profits overseas. The law allows U.S. corporations to defer paying taxes on profits earned elsewhere until they are brought home. The STARS cases are a high-stakes battle for the IRS, particularly because the tax agency and the Treasury Department gave notice in 1997 that they would issue more regulations on foreign tax credits to curb “abusive tax-motivated transactions.’’ But the IRS and Treasury Department never issued new regulations and in 2004 withdrew the earlier notice. Participants in the market say they believed the government was signaling then that it would not challenge such deals. So, when the Treasury Department and IRS proposed new regulations in 2007 and the IRS began turning down tax credits, companies were caught unawares. The STARS disputes have produced a vast number of court documents that offer rarely seen details about the world of tax arbitrage — deals that look to maximize profits by exploiting differences in countries’ tax systems. More than three-dozen bankers, lawyers and accountants interviewed by the Financial Times and ProPublica would not speak publicly about transactions involving foreign tax credits, saying that to do so could jeopardize their jobs. But all characterized their work on such deals as legitimate and a sort of “cat-and-mouse" exercise: Revenue authorities would close a loophole, and financiers would look for another. Foreign tax credits are designed in U.S. law to prevent double taxation of companies that do business overseas. Because U.S. companies are taxed on their worldwide income, they are allowed to claim a credit for taxes paid to foreign jurisdictions to keep their tax bills neutral. But foreign tax credits have long been open to abuse. In STARS cases, for example, the government contends that U.S. companies pursued “foreign tax-credit generator" schemes to take reap credits even when there was no double-taxation. The tax agency is also pursuing cases involving non-STARS transactions in which companies indirectly borrowed funds from a foreign bank and received tax credits. Such deals have wound down because of investigations and enhanced regulation and because the global credit crisis changed attitudes toward risk. But a look back at STARS reveals how the deals were born and the zeal of those financiers who have been — and continue to be — eager to push the boundaries of structured finance. The U.K.-U.S. transactions were crafted with a certain degree of confidence and ease during the heady days of the mid-1990s, when financial firms on both sides of the Atlantic saw the potential for savings, said one participant. “The U.K. equivalent of a foreign tax-credit generator scheme was a partnership deal," he said. “What the U.S. calls foreign tax credit, we call double tax relief. What made the U.S.-U.K. deals so attractive were the English language, a foreign tax-credit system and the rules-based legal system." A U.S. bank transfers several billion dollars in income-producing assets to a trust and sets up a subsidiary as trustee in Britain. The bank sells shares in the trust to Barclays but promises to buy them back after a set number of years. 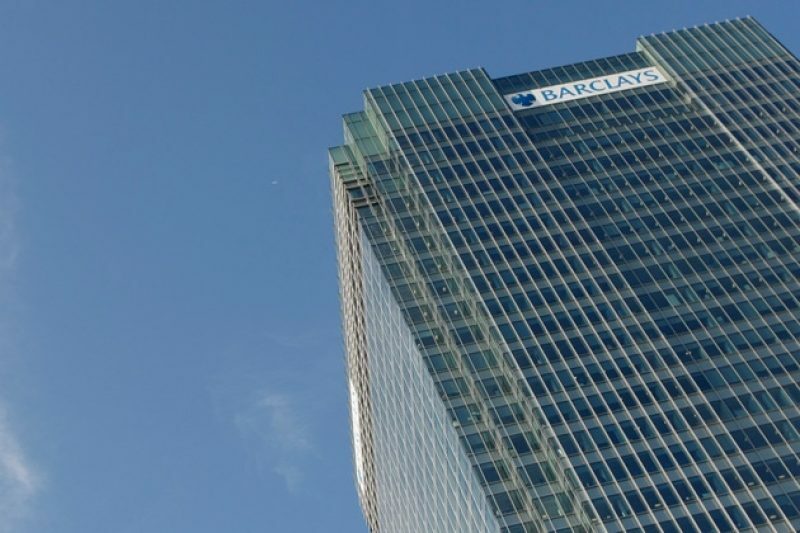 Barclays agrees to provide financing to the U.S. bank for less than the bank’s normal cost of credit, and it routes the money through the trust. The banks say this structure at its core is simply a low-cost, secured loan. But the IRS says STARS went too far, creating a circular set of transactions that are principally designed to generate artificial tax benefits. The U.S. bank’s trustee pays British tax on the trust earnings and claims a corresponding U.S. tax credit. Barclays pays some tax as well, but the arrangement also allows the U.K. bank an even larger tax benefit. That’s because Barclays' shares give it rights to nearly all the trust income, which the British bank is required to immediately reinvest in the trust. Barclays can deduct this reinvestment as an expense, reducing its U.K. taxes. Barclays used part of the tax savings to discount the U.S. banks’ borrowing costs and kept the rest. In court filings, BB&T calls this discount an “offset," while government lawyers call it a “kickback" from Barclays. When the deal expires, Barclays is repaid in exchange for the trust shares. The STARS deals varied, but Barclays' financing was always attractive. Sovereign says Barclays offered a loan as much as 3.35 percentage points below normal cost in 2003. BB&T received $1.5 billion at 2.9 percentage points below normal cost in a five-year deal that began in 2002. Wells Fargo, which received $1.25 billion at 2.50 percentage points below normal cost in 2002, told Judge Schiltz that the Barclays deal saved it “millions of dollars in interest expense each year." Other financial firms also participated in structured-finance deals. Barclays is presented in court files as the pivotal marketer of STARS to U.S. banks. Court documents show Barclays worked at times with the global auditing firm KPMG; in one case, KPMG, the accounting firm Ernst & Young and the law firm Sidley Austin are described as having been involved in the design, development and marketing of the transaction. None of the three firms is the focus of an IRS challenge, and all declined to comment. In the past decade, Barclays was known for a bold approach to tax arbitrage. The British bank's structured-finance team was considered among the most aggressive of international moneymakers. Its Structured Capital Markets unit was led in the 1990s by Roger Jenkins, whose focus on corporate tax planning reportedly made him one of London’s highest-paid bankers. Iain Abrahams, who joined the investing arm of the bank in 1995, was considered the wizard behind the deals, according to a half-dozen people who worked with or did business with him. Abrahams remains a senior executive at Barclays Capital; Jenkins left in 2009. The government is seeking depositions from at least seven Barclays employees, court files show. The bank would make no employee available for an interview. Jenkins also declined to comment. The IRS and some of its counterparts elsewhere were unaware for years that banks and other financial firms were relying so heavily on foreign tax credits, bankers and officials said in interviews. American International Group, better known as AIG, is characterized as a pioneer in structuring transactions with foreign tax credits, arranging deals as early as 1993, according to court documents. At the helm of its development unit was a young Joseph Cassano, the same financier who headed the AIG finance unit that imploded in 2008. Companies such as Hewlett-Packard, the global technology giant, also engaged in the transactions. Banks were the most frequent partners. His lawyer, Joseph Warin, said in an email that Cassano would not be interviewed. A turning point came in the late 1990s when banks realized they could do deals with each other. Knowledgeable senior bankers said they were eager to move away from corporate customers, who were less adept at structuring complex deals. Over time, the sharp reduction in interest rates encouraged much bigger deals to create the same tax benefits. In the early 1990s, the deals were totaling $150 million to $200 million; by 2003, they were 10- to 20-fold bigger, said two experienced bankers who were active in the market. Banks also copied each others’ deals. “It was just like the credit boom,” said one prominent financier. Accountancy and law firms were involved, according to marketing documents and court papers reviewed by the Financial Times and ProPublica. The authorities tried to catch up. In 2004, the U.K., United States, Canada and Australia formed the Joint International Tax Shelter Information Centre to curb abusive tax transactions. Soon after, the IRS was alerted to questionable transactions by its British counterparts within Her Majesty’s Revenue & Customs Office. The U.K. later passed measures that caused a “large portfolio" of AIG transactions in Britain to be terminated, according to public filings. The United States began its own investigations and was helped by the international effort. The joint tax center uncovered multiple cases that might have affected the U.S. tax base. The IRS was told about “things we would never have picked up or would have been picked up years down the road,” IRS Commissioner Mark Everson told the Financial Times in 2005. By May 2006, he informed the Senate Finance Committee that the IRS was “aware of 11 structured-financing transactions with an estimated $3.5 billion at issue." Not long after that, the IRS began denying STARS tax credits. In 2008, the IRS noted in a memorandum that foreign tax-credit deals had caused a “significant drain on the U.S. Treasury." Bankers and advisers say that tax-driven structured finance is now a fringe activity. Bill Dodwell, head of tax policy at the auditing firm Deloitte, said that in the current financial climate, "I don’t think aggressive planning will come back seriously for years and years." Dave Hartnett, permanent secretary for tax for Her Majesty's Revenue & Customs in Britain, sees closer cooperation among tax authorities as helping to quell the deals. But they also recognize the market forces at play, he said. "There has been increased tax transparency from many banks," Hartnett said. “But have foreign tax-credit generators been closed down completely? No, I don’t think so." The international task force, he said, is still “busy exchanging information." Vanessa Houlder covers taxation and Megan Murphy covers investment banking for the Financial Times in London. Senior reporter Jeff Gerth is in Washington, D.C.